Princess Sakura has been engaged to Prince Oura since birth. Aoba, an emissary from the court, has come to accompany her move to the capital for her upcoming nuptials. Taking a dislike to Aoba and wanting to escape a life arranged by others, Sakura runs away--and finds she's caught up to her true destiny. 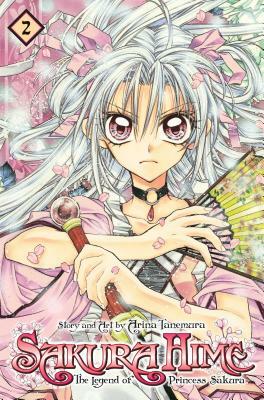 Arina Tanemura began her manga career in 1996 when her short stories debuted in Ribon magazine. Tanemura gained fame with the 1997 publication of I-O-N, a high school romance with a supernatural twist. From 1998 to 2000, she worked on the popular series Kamikaze Kaito Jeanne, about a young girl who is the reincarnation of Joan of Arc, followed by Time Stranger Kyoko in 2000-2001 and Full Moon in 2002. Despite Tanemura's intentions to draw in a style that makes her stories difficult to animate, both Kamikaze Kaito Jeanne and Full Moon have been adapted into TV series.